Oh, so you got all of those glittering rocks you wanted for Valentine’s Day? Well good for you, no doubt you deserve them and can now add those new heart-shaped pieces to your fine jewelry collection. And hopefully you have all those gems packed away into a safe little nook. We know it’s nice to look at them, but all those luxury pieces don’t belong out in that pretty, crystal Tiffany’s dish your grandmother gave you. 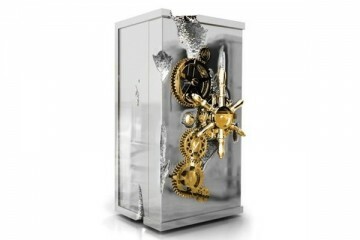 One of the most beautiful safes we’ve ever come across is Döttling’s newest Legends No. 176—a 19th century antique safe whose restoration has just been completed. 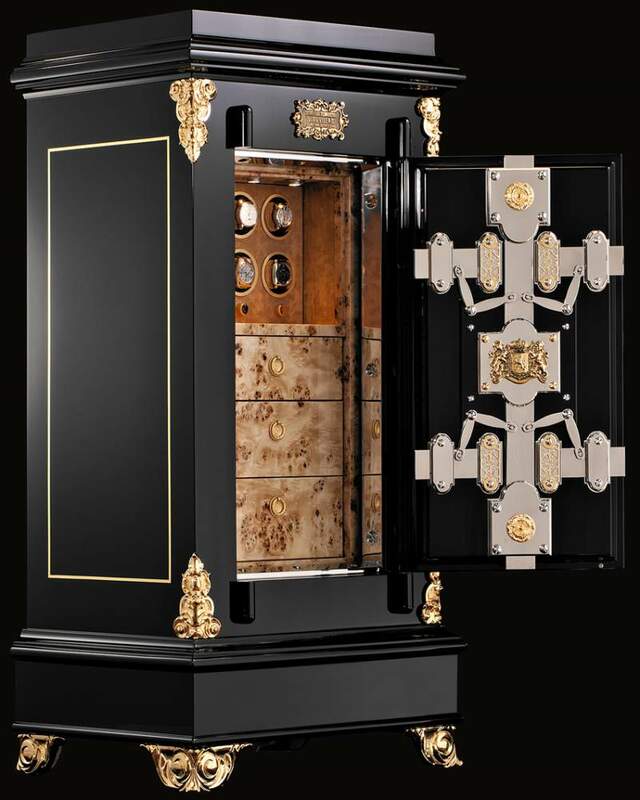 The Legends series antique safes are restored to their former glory and turned into a one-of-a-kind pieces, for whatever your needs might be. The interior can be fitted with humidors, cocktail bars, jewelry compartments, watch winders, collector cabinets, or lockable drawers, but we like the idea of using them to store all those sentimental pieces, luxury watches and expensive gems you wouldn’t want to live without. The Legends No. 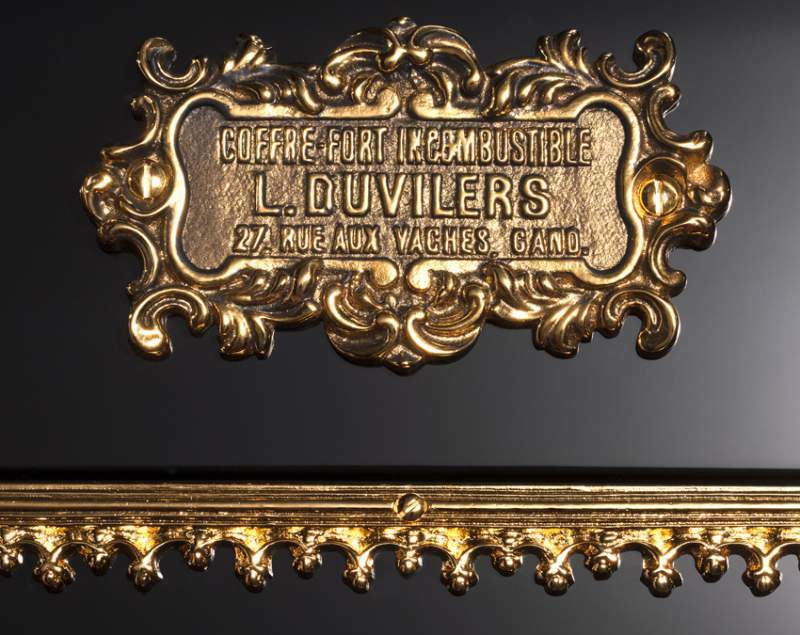 176 in particular was built in 1880 in Belgium by a company named Duvilers in the city of Gent. 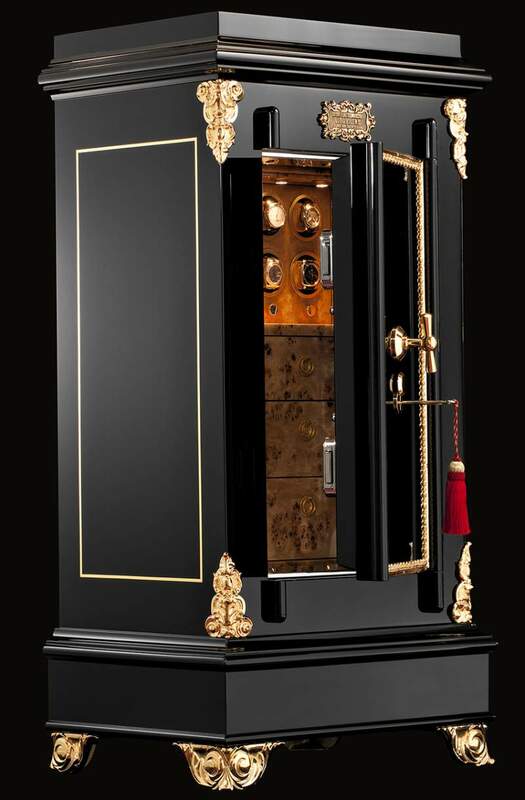 It has just finished being restored and is outfitted with black, hand-polished, piano lacquer, 24 karat decorative gold and features an interior of Poplar Burr wood, eight automatic watch winders, and three drawers for all your additional jewels. The drawer interiors and watch winder panels are made with upholstered goat skin and metal fittings are all made of polished stainless steel. 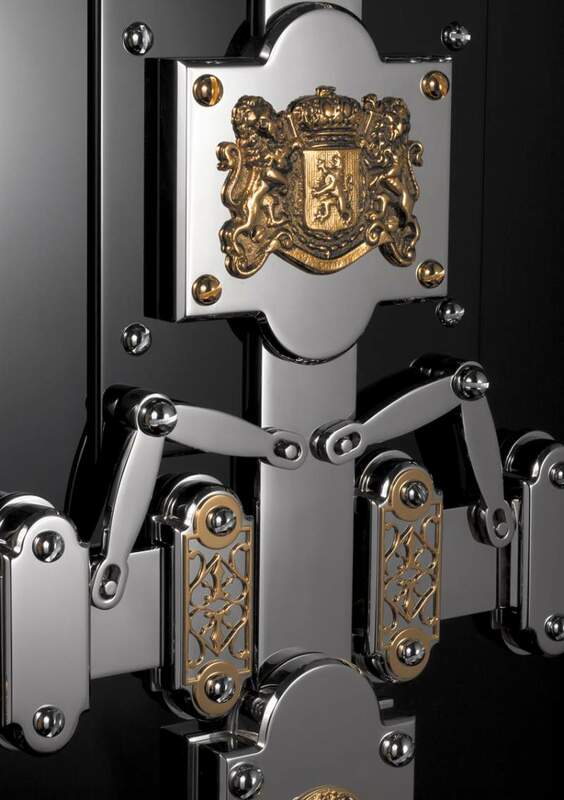 It’s the perfect place for your new jewelry and your husband’s favorite watches—it keeps them secure in a beautiful antique piece redesigned by the company that makes the most secure luxury safe in the world. Döttling’s Legends No. 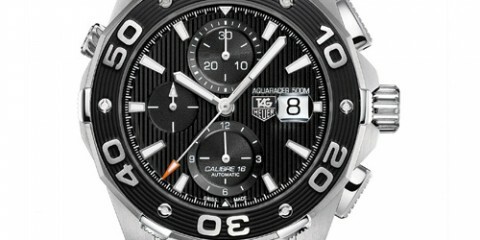 176 safe is available by appointment only and is priced at €190,000 (approx. 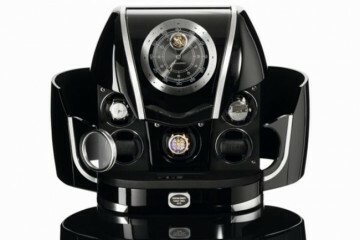 $260,250).